The iOS version of the Google Search app has been updated with new features and a fresh design. Google’s 15th anniversary was probably a red-letter day for the company as it invigorates things with a few design and functional changes. Tablet and mobile users will now see a new card-based user interface with their search results. The card-based UI is more in line with the consistent design seen first in Google services like Google Now and later adopted by Google+. The objective behind the design changes in the iOS app remains the same – a more unified design that’s cleaner and simpler. The new design is also optimized for touch-enabled browsing. The results are clustered on “cards”, and as Google explains, you can thus focus on the results of your search. You can expand the cards by touching the arrows to see the information grouped on it. The new look is now being rolled out to the iOS version of Google Search, following its launch on Android. The iOS app also includes reminders and cross-platform push notifications. If you save a reminder in iOS, it will also show up on Android when you access the search app (and vice versa). Behind the mobile search interface, Google has also made significant changes to the Knowledge Graph. A filter has been introduced that helps to drill down into specific types of searches. When I tried it, the filter worked with the example given on Google’s announcement post, but not with all searches. Voice search has been made more natural and Google demonstrates it with a few comparison searches. Google says that is adding to the type of searches you can perform on the apps. 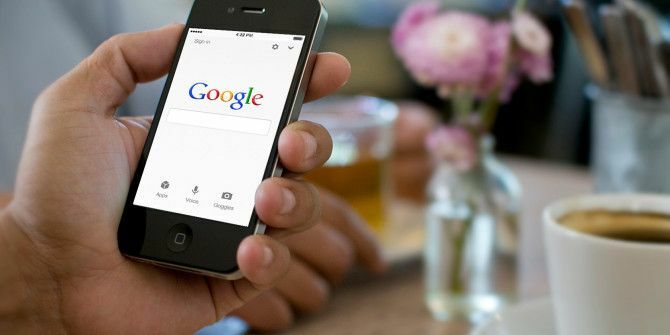 Have you tried the updated Google Search app for iOS yet?